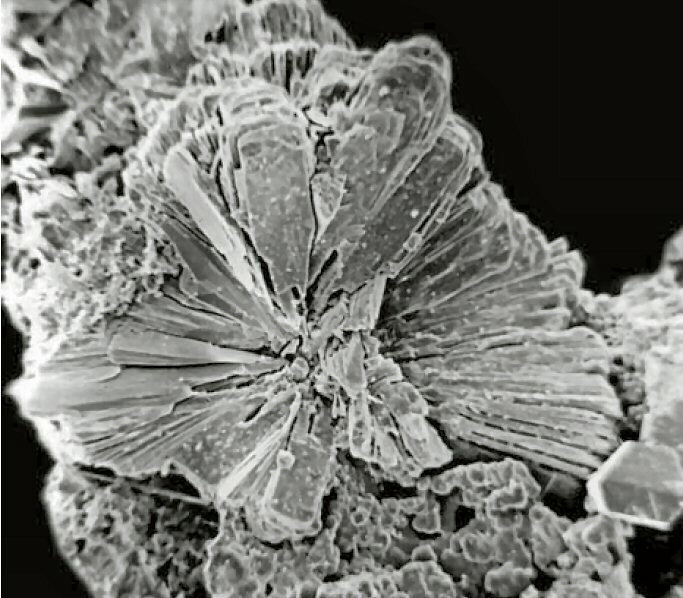 Comments: SEM image of a spherulite of platy crystals of armbrusterite (2 mm diameter) on cancrinite and calcite. (AmMin, v92:416). Location: Khibiny massif, Kola Peninsula, Russia.. Scale: Spherulite Size 2 mm.